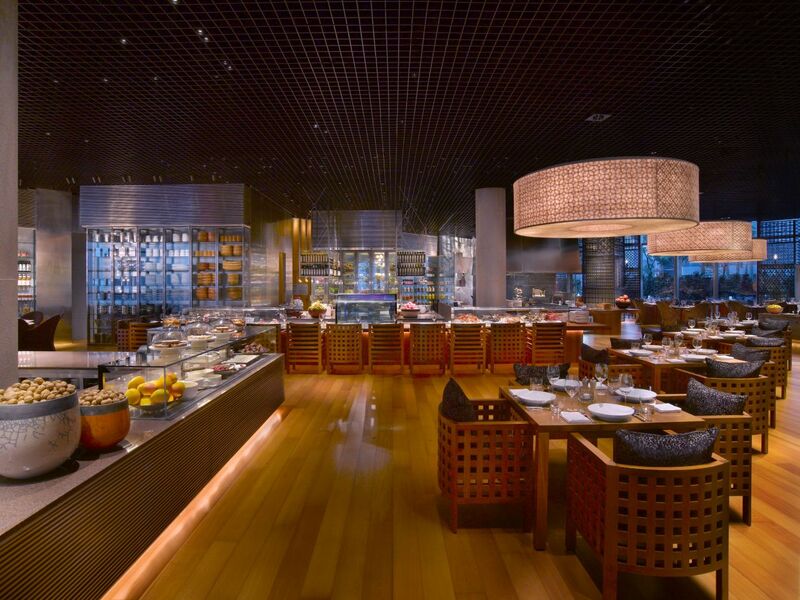 Grand Hyatt Macau features four award-wining restaurants, bar, and privating dining options offering a fabulous range of cuisines and elevating the dining experience to another level. With an interior decked out in rich traditional Chinese décor one of the most famous restaurants in Macau accented with selected western accoutrements, Beijing Kitchen at Grand Hyatt Macau, one of the most popular restaurants in Macau offers diners a truly authentic Northern Chinese dining experience. From the dramatic display of Chinese teapots at the entrance to the warm colours and intimate seating options inside, guests are treated to a variety of settings in one beautiful location. 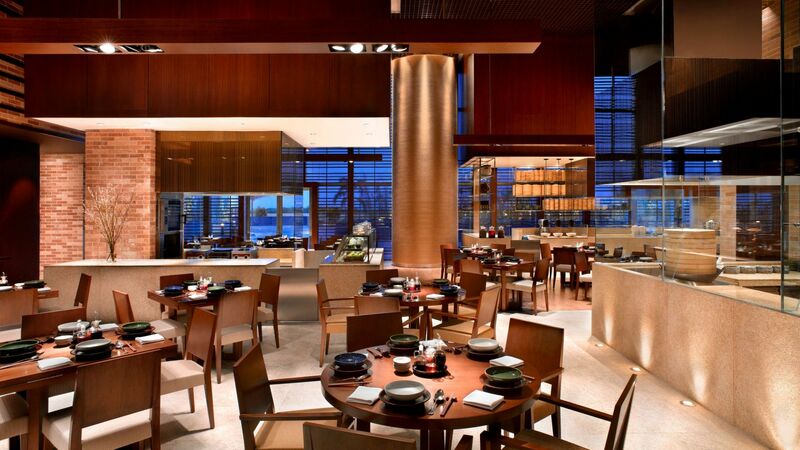 Four kitchens overseen by a master chef create custom-designed Chinese delicacies, from traditional Beijing Style Duck prepared in wood-fired ovens and hand-pulled noodles to dim sum, to a wide selection of desserts. 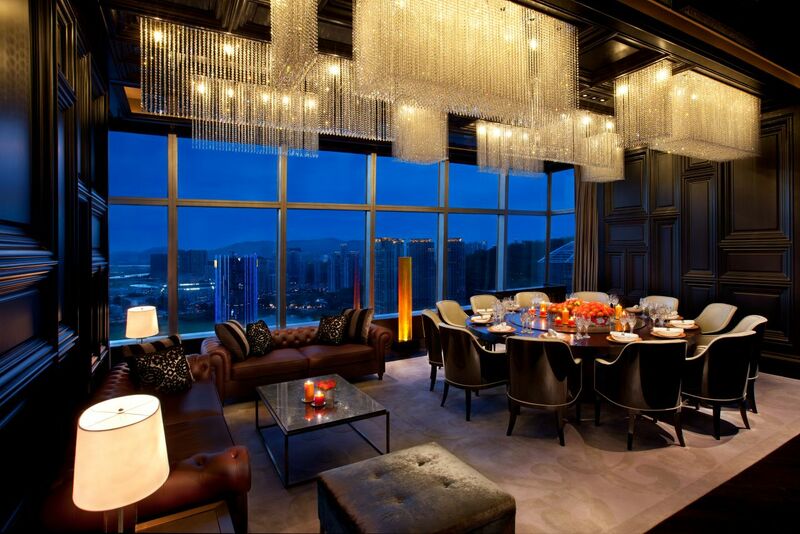 Two floors above, on Level 3, mezza9 Macau offers “Dining from the Kitchen” dinner buffet - an experience to evolve your five senses. With a concept that focuses on food quality and freshness, riveting your taste sensation, mezza9 Macau elevates the buffet dining to another level. 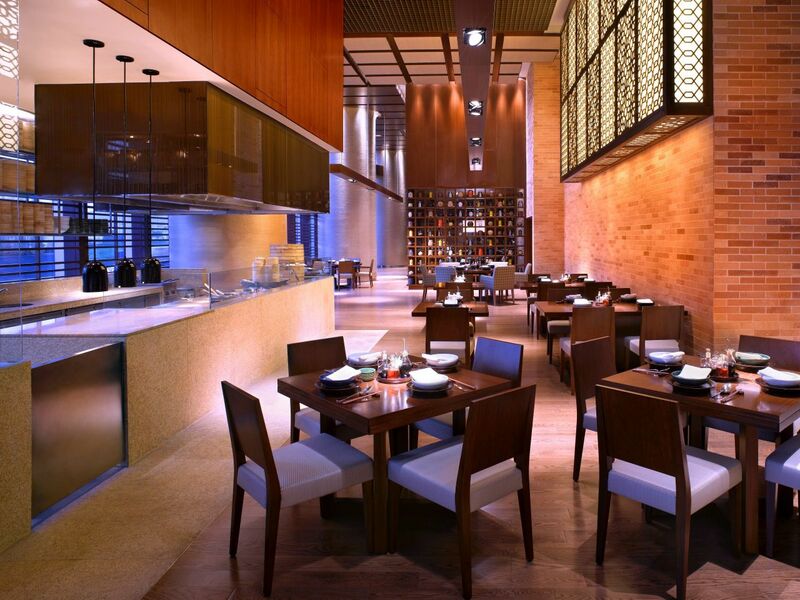 At mezza9 Macau, guests can watch the chefs in action and interact with them to tailor made meal according to preference. 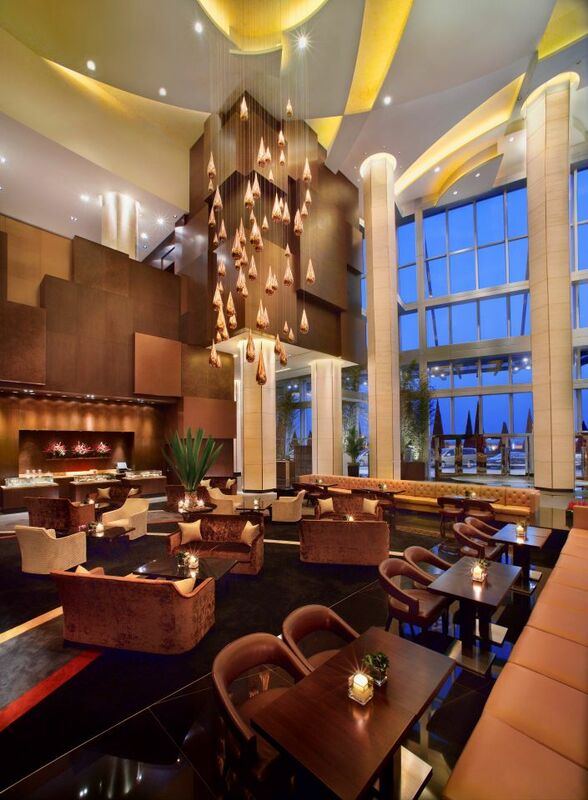 The lobby lounge features Pâtisserie, offering a wide variety of sweets, such as the famous authentic Portuguese egg tart and a selection of cakes and homemade chocolates. While enjoying these treats, guests are entertained by performances of the live band, accompanied by traditional Chinese and Western musical instruments. True luxury is always in the details. We’ve created a dining experience where every element is carefully customized to each guest’s preferences, creating a level of bespoke service to befit royalty. Private Dining guests can select from a specially devised menu featuring 150 Chinese, Asian and international dishes – many exclusive to the Private Dining Rooms experience. In addition to seasonal flavors and set menus, guests can savor the privilege of customizing their own gourmet menus from any of Grand Hyatt Macau’s acclaimed restaurants.